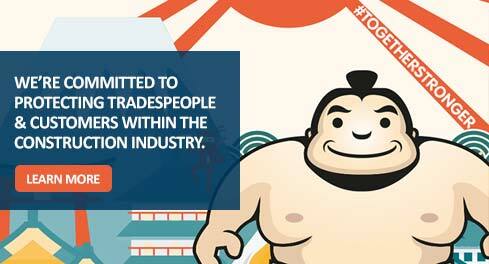 The CPA offers a range of services for tradespeople who want to stand out from the competition. We offer training, support and certification schemes, so you can show your customers that you offer quality products and services. Give your customers peace of mind by offering a deposit protection scheme from the CPA or an Insurance Backed Guarantee for their installation or building project. 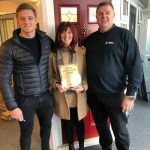 Having been the leading installer support organisation in the home improvement industry for over twenty years, we know what information, resources and collateral you require to make sure you win profitable new business. Over the last few years, contractors have had to work doubly hard to win new business due to stricter access to finance and tighter household budgets. Now the outlook is brighter, work is available – but the competition is more fierce than ever. Homeowners are now more cautious when investing in home improvements and do their research to find reliable and recommended tradesmen. One of the best ways of proving that your business is reputable and above board is by offering guarantees on your products and services. This is where we can help. 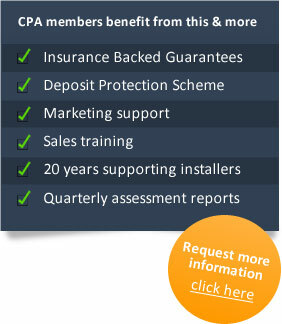 The CPA can help you secure the confidence of the consumer and most importantly the sale. The reality is that consumers demand hard evidence that you are what you say you are and that you have the necessary credentials to do a fantastic job. By becoming a CPA member you join an elite number of businesses showcasing ethical standards, best practice and impeccable services on every job. This gives you instant authority over your competition but most importantly – ensures you win more business. Take advantage of our affordable Insurance Backed Guarantees and Deposit Protection Schemes. For more information about the trade services we offer, give us a call on 01462 850064 or contact the CPA here.